PRIMERA UBICACIÓN EN LOS CRISTIANOS. 100 metros de la playa y restaurantes. 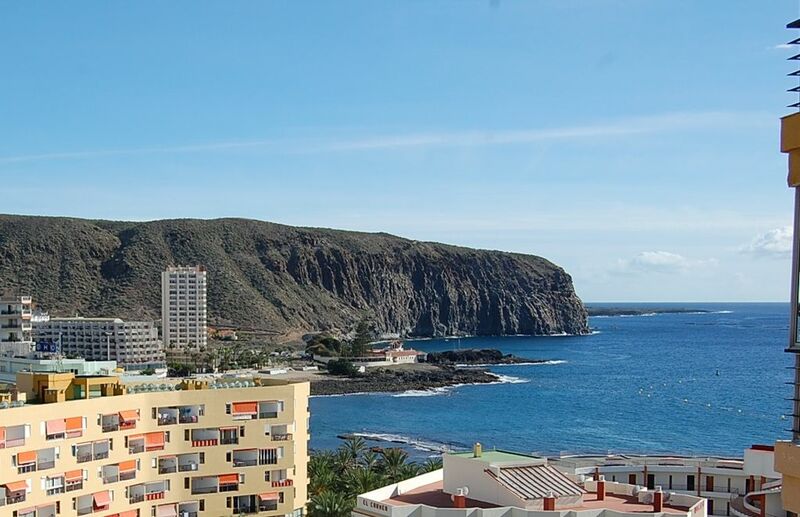 Hermoso apartamento de 56 m2, un dormitorio, amplio salón con cocina abierta (tiene todo lo necesario), lavadora, baño y una gran terraza con vistas al océano y las montañas. Remodelado marca nueva piscina. Tiene un garaje 1 coche con mando a distancia. Puede enviarme un correo electrónico con todas las preguntas y descuentos de verano. We stayed in the apartment for two weeks in August 2013. The apartment was well equipped, with everything we needed for our self-catering holiday, and clean on arrival. The best aspect were the sea views out of the balcony. Having breakfast at the balcony every morning was just spectacular. Our only comment for improvement was the community pool, which was close during our stay, so we were not able to enjoy it. However, it was possible to take a sunbath in one of the sunbeds freely available. But this was not any problem at all, because the apartment was only 5 minutes walk into the beach. The location was excellent, in a great quiet place, with the bus stop close and a supermarket only some steps away. Reaching the old town and the commercial area was easy, withing walking distance. The apartment is an amazing base to spend some beautiful and relaxed days and visit the wonderful island. For this we would recommend renting a car, there are a lot of offers in the area! Regarding the booking process, it was very smooth indeed and all the email communication was fast and efficient. To sum up, we would certainly recommend this apartment to anyone. This is a VERY WELL AQUIPPED apt situated on the 11th floor! ALL You need is there! But we diden't need this..
We really had a pleasant stay in this apartment in Los Cristianos. We waited every morning for the sun to rise over the mountain Guaza. The neighbourhood was quiet and pleasant. Yes, we would like to come again. Traumhafter Blick über die Berge und das Meer. Haben jeden morgen das Frühstück auf dem Balkon genossen. Das Appartement hat alles was man braucht. Die Sauberkeit könnte man ein wenig verbessern. Aber die Lage ist einfach perfekt. Wir kommen gerne wieder. Und vielen lieben Dank für alles Olesya und vor allem für die schnellen Antworten. Allt var som det var beskrivet i annonsen. 100 metros de la playa y los bares / restaurantes. Numerosas actividades en el área de equipo de submarinismo, excursiones, conciertos / espectáculos, tiendas, parque acuático, parque zoológico, y muchos más.